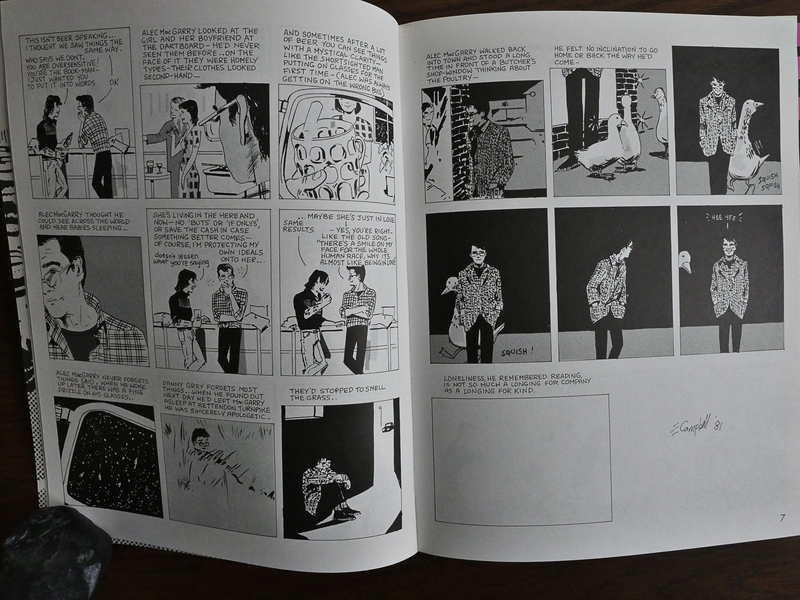 The Complete Alec (1990) by Eddie Campbell. Ah, this winged its way into Eclipse’s hands via the Acme connection. I remember buying this book in the early 90s, but I had already bought (and read to bits) two of the three British Alec collections that had been released in the early 80s. 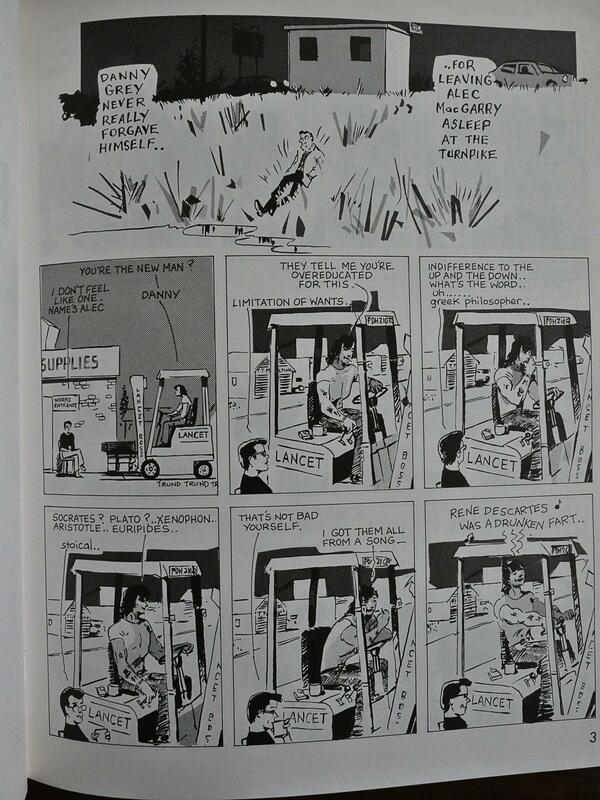 I remember what a revelation these comics were. I was in my early teens, and had read all a lot of the underground to new wave artists, and was particularly taken with Aline Kominsky and the people that followed in her (and Justin Green’s, I later learned) footsteps. Dori Seda, Krystine Kryttre… that whole Weirdo generation. It was a mode of autobiographic storytelling that, while wonderful, was something completely different than what Campbell was doing. Reading Kominsky was like having a wonderfully entertaining person ranting at you and telling you the most outrageous stories about themselves. Campbell is more literary, and doesn’t really focus that much on himself. 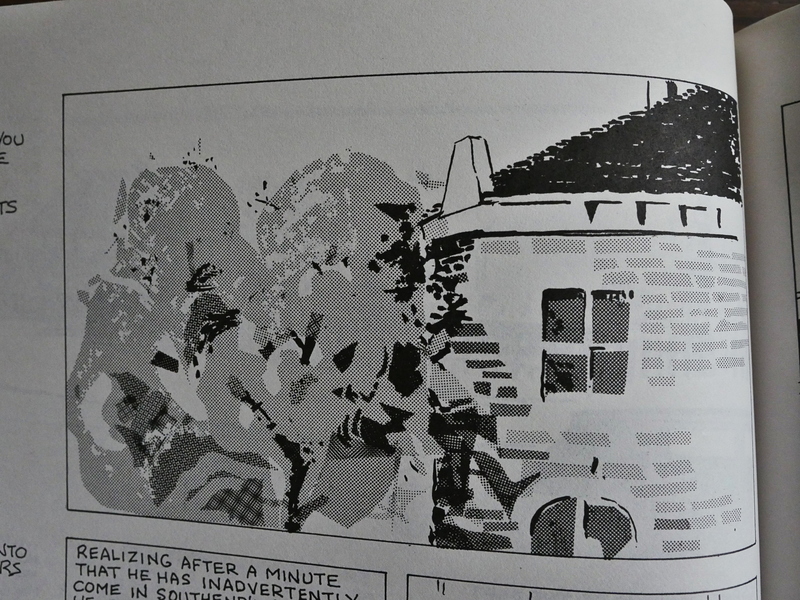 You can read one page from Dori Seda and you know her intimately, immediately. I’m not sure I know Campbell at all after re-reading, for what I’m sure is the tenth time, this 130 page collection. Campbell is such and awe-inspiring storyteller. While these are stories about his friends and him (in that order, really), he’s not really that interested in getting to the point (or any point), and instead things kinda dissolve and you never really get all the details to these stories straight. Campbell is oblique and withholds: Everything to maintain the romantic, wistful mood of this reality. I always thought that there would be an avalanche of new artists that looked at Campbell’s work and would immediately start writing in this mode. But the generation that followed (Julie Doucet, Joe Matt, Chester Brown, etc) seemed to take nothing from Campbell and instead followed on directly from the 70s undergrounds in their obsessions. But I think that’s changed now, finally. 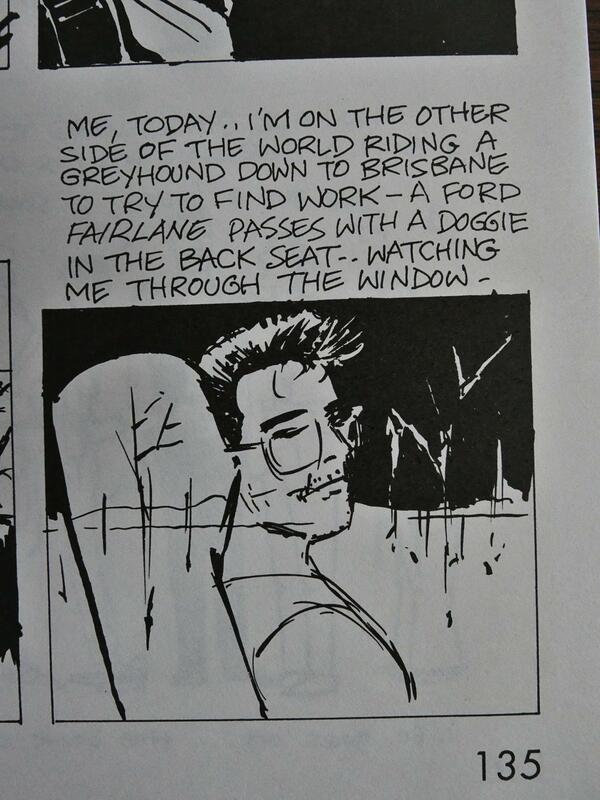 I think I can detect traces of Campbell’s techniques and moods in the current generation of comics artists. 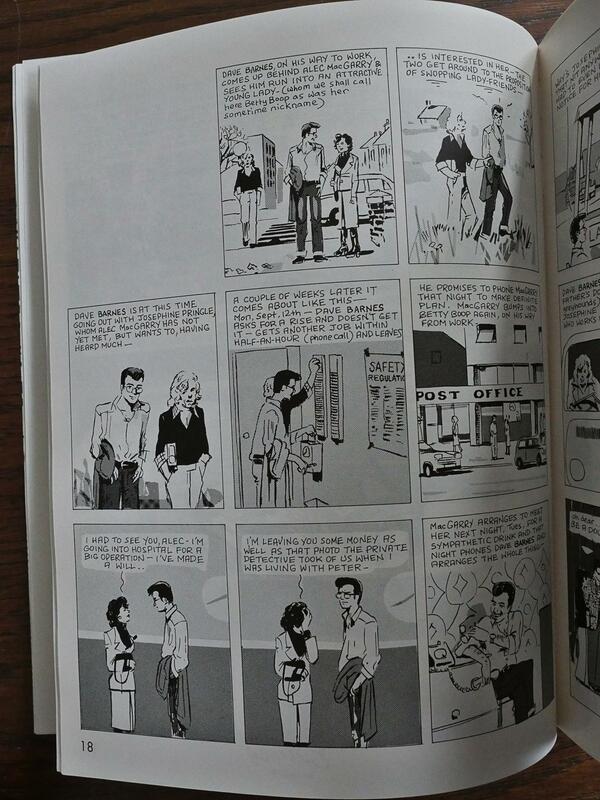 He sticks to the nine panel per page format throughout the series, which is also pretty unusual. Especially for that time: Such formal tics would get more pronounced later (after Alan Moore had popularised them). But one thing we have to ask ourselves: Is Campbell to blame for Housewives of Atlanta? 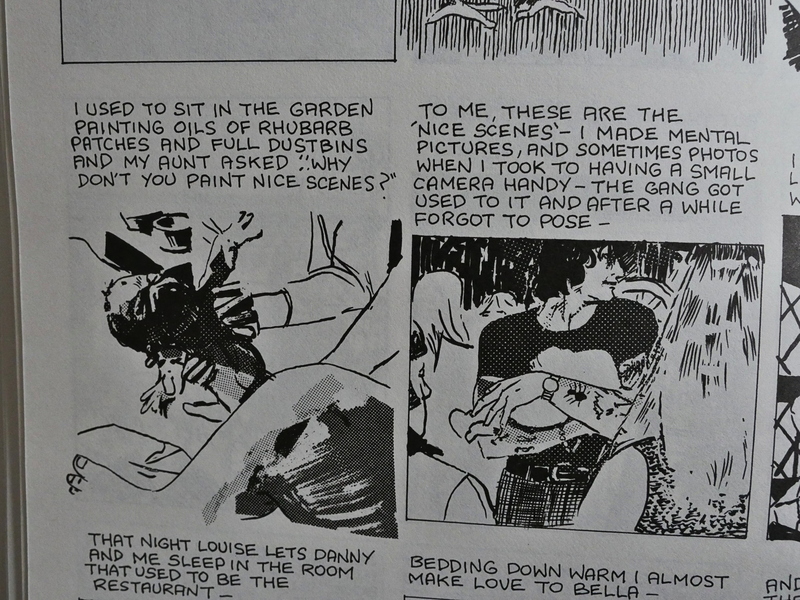 Above he tells how he used to snap photos of the people around him to use in his comics, and after a while they forgot to pose. 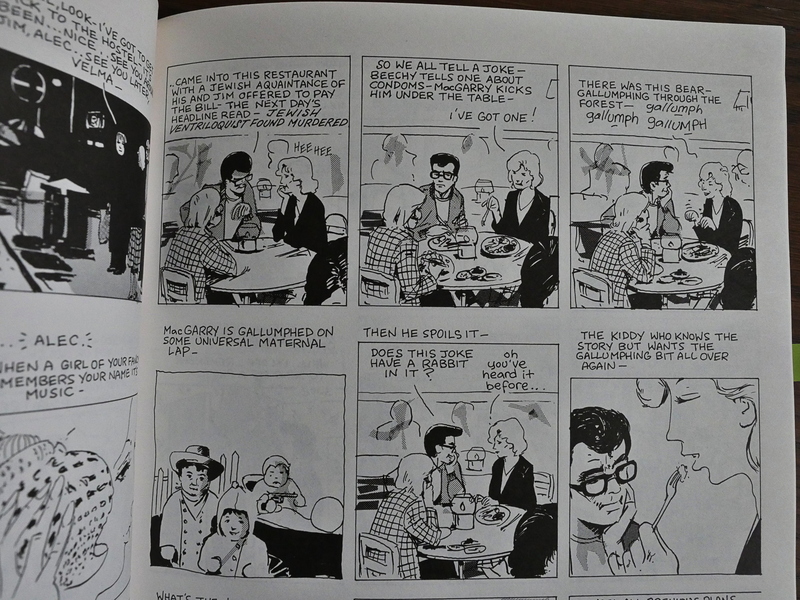 Did somebody read these comics and then start shooting that Kardashian TV show!? Probably not. But it’s typical how something first appears in the margins of culture before being appropriated as entertainment some years later. The avant garde is the R&D dept. of Hollywood. 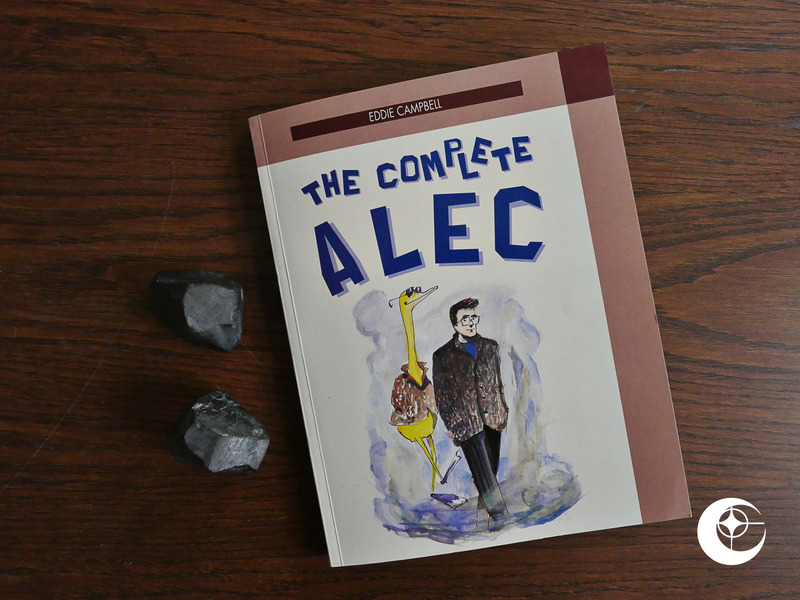 The name of this collection is “The Complete Alec”, and it seemed pretty final, as it ends with him leaving for Australia. 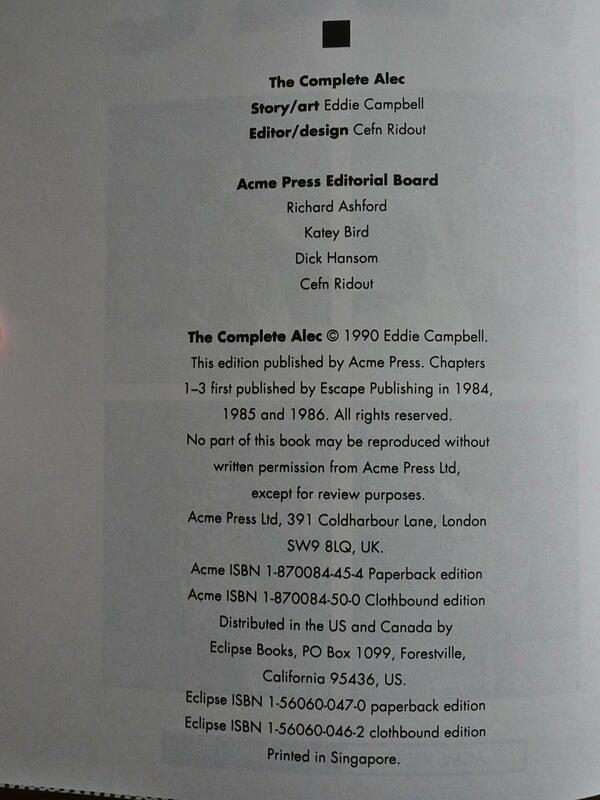 However, a couple of decades later, the Alec collection would be released with at least four times as many pages. But he stopped calling his stand-in character “Alec”, though. YANG: It ts funny, because in that Journal interview with Alan Moore, he says the same thing, that you thrive on trying to make ordinary life interesting. CAMPBELL: I’m not trying to make ordinary life interesting: it is interesting. It’s exciting, unbelievably exciting. I was on my bike the other day and I overshot my turn-off and I found myself away down by the river and there were these trees growing out Of the river. It was so crazy and beautiful I couldn’t believe it. There were trees growing out of the river, and it was murky and it was dark and there was this terrible tropical rain going on. And it wasn’t like mangrove trees, it was straight trees growing out of the river. I think the river was overflooded. But I thought, Gee, isn’t that amazing. And I wasn’t even coming from the pub — I was on my way to it. Campbell possesses a raconteur’s intuitive understanding of what makes for an engaging story and how it can unfold to advantage. He displays a fondness for and a fidelity to dialect and the quirks of conversation. He also demonstrates a blithe, unfailing, and seemingly effortless ability to make panels intrinsically interesting in their composition. Last but never least are the elements of humor that Campbell plainly feels makes the whole affair — life, drinking, cartooning — worth pursuing. Alec’s life is a warmer, richer, funnier. and more vibrant “slice” than much of our own… more an overflowing “mug” of life.